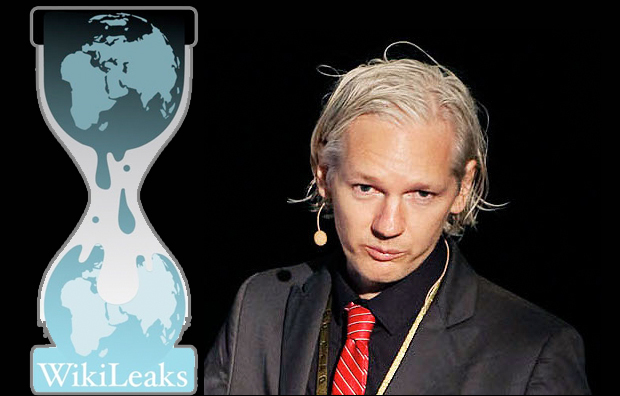 Updated: Wikileaks Pops Up All Over the World as it defflects Attacks. DEFINITIVE ARTICLES AND LINKS! Wikileaks is shaking itself off from the Denial of Service attacks on its servers and the following delisting from EveryDNS.net. 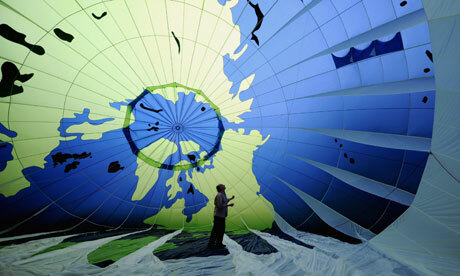 A Greenpeace activist in a hot air ballon ahead of the current UN climate summit in Cancún. WikiLeaks cables expose US use of espionage before the 2009 Copenhagen summit. Photograph: Luis Perez/AFP/Getty ImagesHidden behind the save-the-world rhetoric of the global climate changenegotiations lies the mucky realpolitik: money and threats buy political support; spying and cyberwarfare are used to seek out leverage. Seeking negotiating chips, the US state department sent a secret cable on 31 July 2009 seeking human intelligence from UN diplomats across a range of issues, including climate change. The request originated with the CIA. As well as countries’ negotiating positions for Copenhagen,diplomats were asked to provide evidence of UN environmental “treaty circumvention” and deals between nations. WikiLeaks is down (yet again!). Half an hour ago, EveryDNS.net disabled DNS services for WikiLeaks’ secondary hosted domains, includingwikileaks.ch. EveryDNS.net is the US company that was also responsible for disabling the DNS services for wikileaks.org this morning. It seemed strange that WikiLeaks subsequently decided to use the same DNS provider for wikileaks.ch, as it was almost inevitable that the new domain would suffer the same fate. In a Guardian Q&A session today, Julian Assange hinted that WikiLeaks deliberately places some of its servers in juristictions that they suspect suffer from a “free speech deficit”. (Reuters) – WikiLeaks directed readers to a web address in Switzerland on Friday after two U.S. Internet providers ditched it in the space of two days, and Paris tried to ban French servers from hosting its trove of leaked data. The Internet publisher directed users to www.wikileaks.ch after the wikileaks.org site on which it had published classified U.S. government information vanished from view for about six hours. A Dutch- and a German-based site, www.wikileaks.nl and www.wikileaks.de , were also giving readers access to the leaked documents. EveryDNS.net, which helps computers to locate the sites of its members, said it had stopped providing services to WikiLeaks at 10 p.m. U.S. Eastern time on Thursday. WikiLeaks had turned to EveryDNS and host servers in Europe after Amazon.com stopped hosting the site on Thursday. The United States is furious about WikiLeaks’ publication of hundreds of confidential diplomatic cables that have given unvarnished and sometimes embarrassing insights into the foreign policy of the United States and its allies. Amazon denied it was under pressure from lawmakers, saying WikiLeaks had breached its terms by not owning the rights to the content it was publishing. But U.S. Senate Homeland Security Committee chairman Joe Lieberman questioned Amazon about its relationship with WikiLeaks on Tuesday and called on other companies that host websites to boycott WikiLeaks. To run a website, WikiLeaks needs three things above all: computer servers that hold or “host” its content; a “registrar” that enables it to own a particular domain, such as “wikileaks.ch” or “wikileaks.org”; and a provider such as EveryDNS that links the hosts and the names together so that users can use a particular address or URL such as www.wikileaks.ch to call up a website behind it…. In my recent article Ward Churchill: The Lie Lives On (Pravda.Ru, 11/29/2010), I discussed the following realities about America’s legal “system”: it is duplicitous and corrupt; it will go to any extremes to insulate from prosecution, and in many cases civil liability, persons whose crimes facilitate this duplicity and corruption; it has abdicated its responsibility to serve as a “check-and-balance” against the other two branches of government, and has instead been transformed into a weapon exploited by the wealthy, the corporations, and the politically connected to defend their criminality, conceal their corruption and promote their economic interests; and, finally, that the oft-quoted adage “Nobody is above the law” is a lie. Some critics were quick to dismiss my article as politically motivated hyperbole. But with the recent revelations disclosed by Wikileaks, it appears that this article did not even scratch the surface, because it is now evident that Barack Obama, who entered the White House with optimistic messages of change and hope, is just as complicit in, and manipulative of, the legal “system’s” duplicity and corruption as was his predecessor George W. Bush…..
Leslie Phillips, communications director for the Senate Homeland Security and Governmental Affairs Committee, speaks to Fast Company about the hunt for WikiLeaks’ hosts and how it closely mirrors the hunt for its founder, Julian Assange. On Wednesday, Amazon kicked WikiLeaks from its servers after queries from the office of Senator Joe Lieberman, chairman of the Senate Homeland Security and Governmental Affairs Committee, which is handling the issue. But soon after leaving Amazon, WikiLeaks massive trove of government documents was back online, hosted by a different server. The hunt for WikiLeaks’ hosts very much mirrors the hunt for its founder Julian Assange, who so far has escaped international warrants for his arrest. After bouncing from server to server and suffering from several overwhelming DDoS attacks, WikiLeaks’ cables are as accessible as ever, indicating that perhaps officials have a better chance of stopping Assange than they do WikiLeaks itself. To learn more about the situation, we spoke with Leslie Phillips, communications director for the Senate Homeland Security and Governmental Affairs Committee. Fast Company: What exactly is the goal of pulling WikiLeaks from Amazon? It’s already out in the public domain at this point. Leslie Phillips: Well, first of all, the Senator didn’t specifically ask Amazon to remove it. We saw a press report that Amazon was hosting the site, and staffers called Amazon with a list of questions including: Are you aware of this? Are there plans to take it down? Amazon called us Wednesday and said that they had terminated their relationship with WikiLeaks. Thinking back to when the New York Times published the Pentagon Papers in the 1970s, that was print. Now, in the age of the Internet, it seems impossible to contain this information….